There is nothing like the freedom of the open road coupled with the beauty of some of the nation’s best wonders. Let’s be honest, if you’ve ever been on a bike, you know it’s more relaxing to ride on the open road than it is to be weaving through traffic in the city. To help you get started on a real motorcycle journey, we’ve rounded up some of our favorite places to ride, so hit the road and take your bike for a spin! 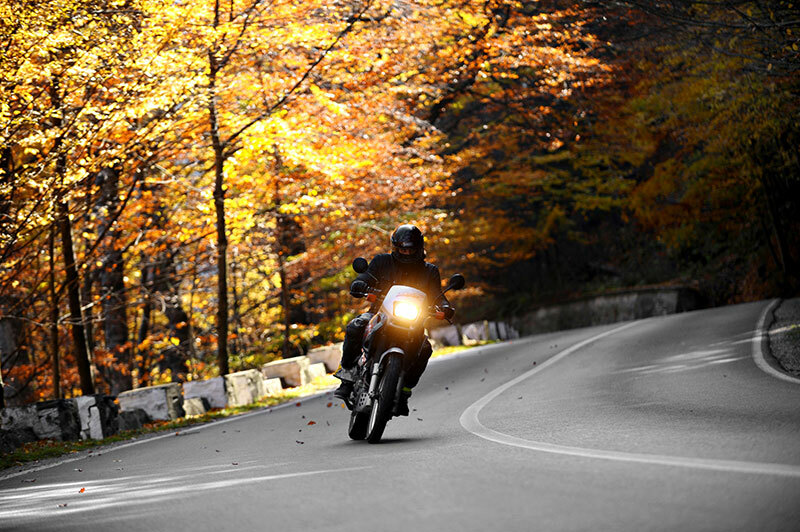 Here are 10 of the best motorcycle rides in the US. First thing’s first, whether you’re riding out with a group or solo, it’s important to always pack the essentials when you’re going on a trip. Essentials may include a toolkit, water, and anything else you might need for the duration of your trip, like sunscreen, a cell phone charger, and more. You might be hitting the road for different reasons, but it’s always a good idea to be prepared and have a general idea of where you are going and where you can make safe stops along the way, and we’ve got you covered. Before we get into the best places to ride, if you are riding in a group (more than one person), there are a couple guidelines you should follow to ensure the safety of everyone on the road. Order and Formation. You will need to pick a leader who will guide the way, as well as a tail rider who will keep everyone in check and on track. You should be riding in a staggered formation (side-by-side is dangerous). If you are riding a route that has intersections, your group should adopt a two-lane formation at traffic signals. The group leader should be on the left in front, as the rider on the left gets to go first. Distance and Pace. If you are leading, it is your job to set the pace for the group, so make sure you ride at a speed where everyone is comfortable. You should always maintain a safe distance from the rider or car in front of you. Rest Stops. Rest stops and meeting places should be decided along the route before you hit the road. When riding in a group, it can be easy to fall behind or get stuck at a traffic light. In this case, you should stay calm, ride safe, and meet up with your group at the next designated rest stop. Pro Tip: When planning pit-stops, take into account the fuel range of the least efficient motorcycle in the group, to prevent anyone from running out of gas on the trip. Have fun, be safe, and enjoy the ride! 10 Best Motorcycle Rides in the U.S.A. 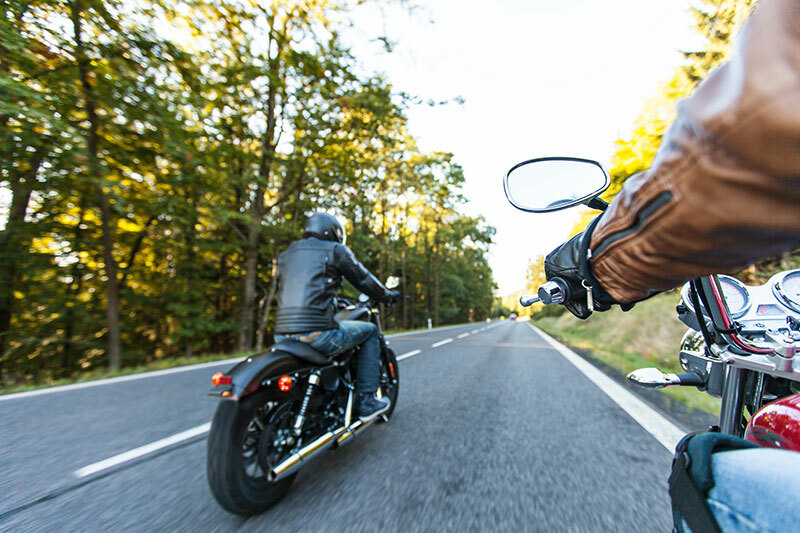 Whether you’re riding in a group or solo, here are 10 of the best motorcycle rides in the U.S. so you can enjoy your freedom and your bike. Blue Ridge Parkway spans 469 miles along the central Appalachian Mountains in Virginia and North Carolina. 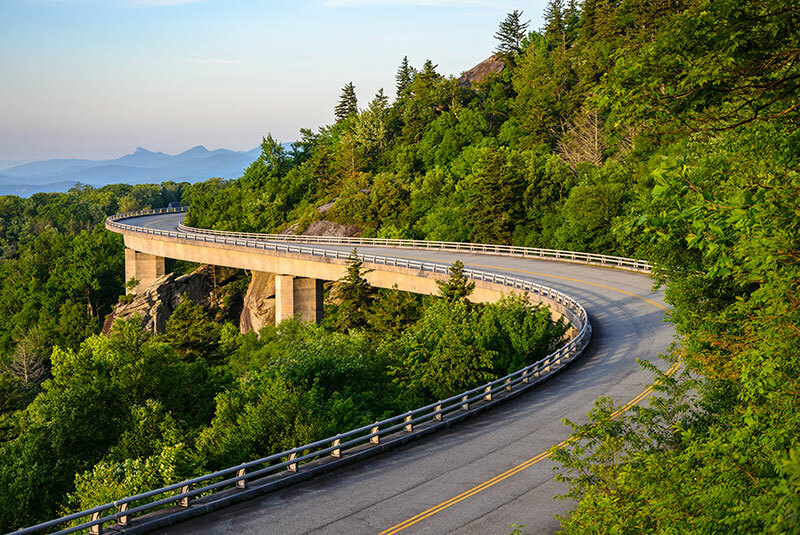 World-renowned for its biodiversity, sweeping curves, and scenic overlooks, Blue Ridge Parkway is a must for your next road trip. Also featuring camping and lodging opportunities, as well as travel destinations and attractions to keep you busy! Pro Tip: Continuing north, Skyline Drive takes you through the beautiful Shenandoah National Park. Dig into your western side for this country ride! Beartooth is a 68-mile highway that winds its way through southwest Montana and northwest Wyoming and leads into Yellowstone National Park at its Northeast Entrance. 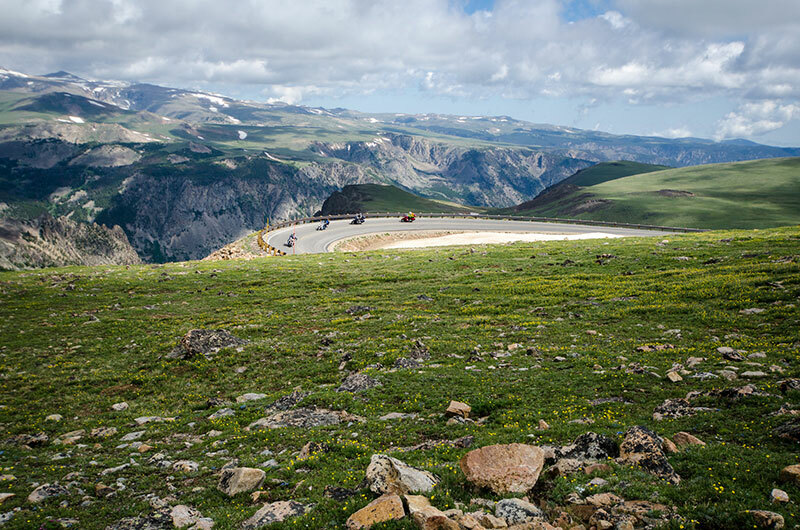 Parallel to the Absaroka-Beartooth Wilderness and surrounded by 20 mountain peaks that reach over 12,000 feet, the Beartooth Highway crosses some of the most extreme views in the world. Pro Tip: High alpine climate means that severe weather conditions can occur year-round. WARNING: Get ready to scrape your footpegs in some of these wild curves! You’re in for an awesome ride. 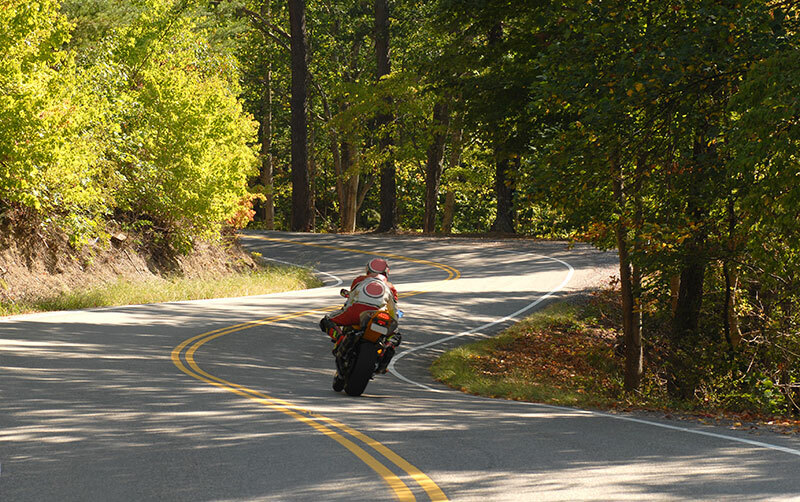 The Tail of the Dragon is considered to be “the destination” for thousands of motorcycle fans for the unique challenge and freedom it offers. 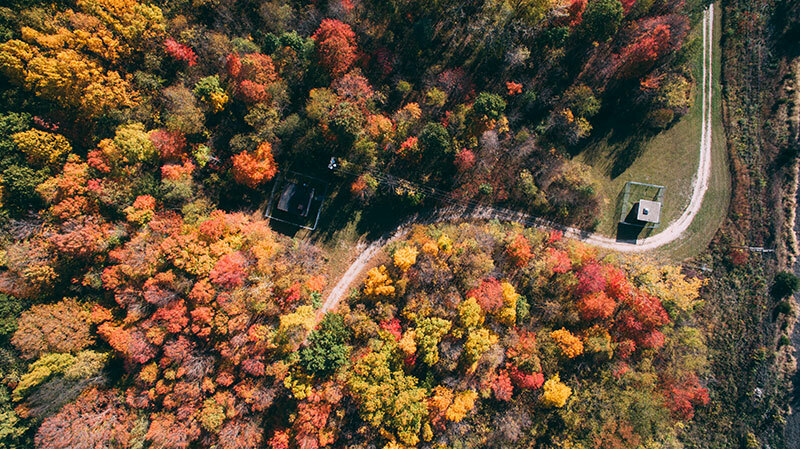 Boasting 318 curves in 11 miles, US 129 is bordered by the Great Smoky Mountains and the Cherokee National Forest and doesn’t have any intersecting roads, houses, driveways, or business so you can keep your eyes on the road (and the views!). Going-to-the-Sun-Road is a 50-mile, paved two-lane highway that bisects and expands the width of Glacier National Park. From large glacial lakes and cedar forests in the lower valleys to windswept alpine tundra, it passes through almost every type of terrain in the park. With scenic viewpoints and pull-outs along the way, you can stop for extended views and photo opportunities. 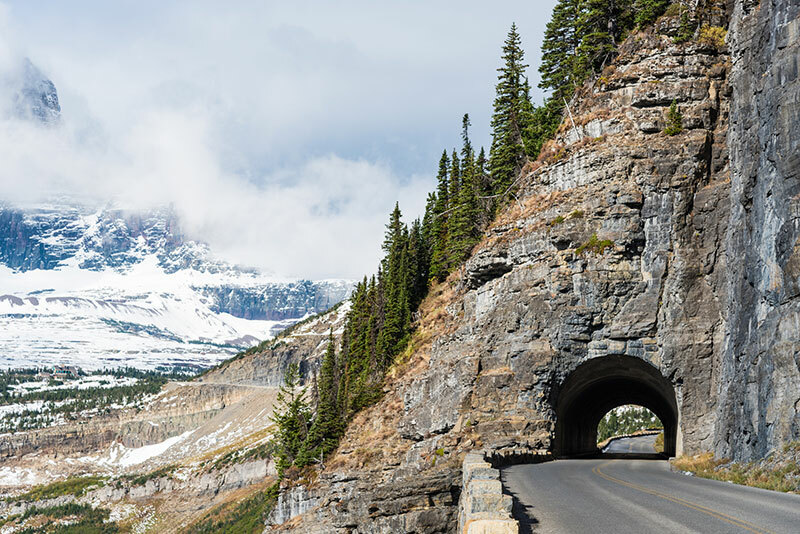 Pro Tip: Portions of Going-to-the-Sun Road may be closed depending on the weather. Typically the road is fully open until the third Monday of October, but that can change due to weather conditions at any time. 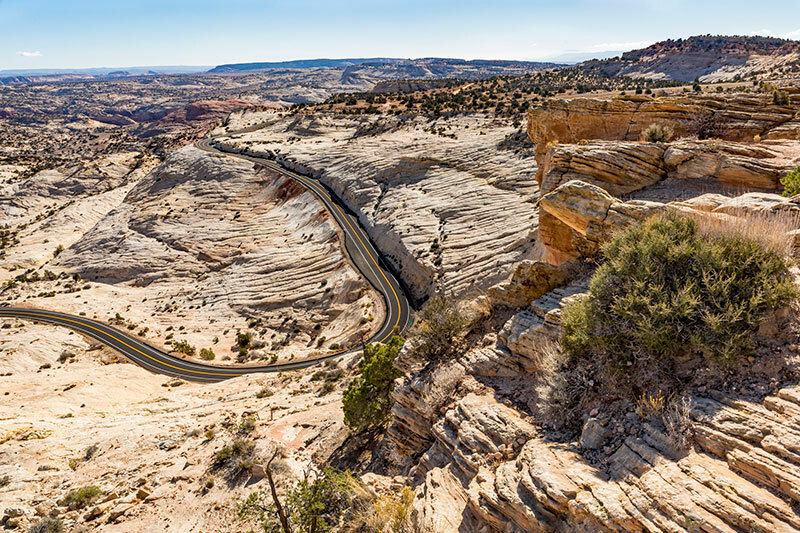 On two wheels or on two feet, the Grand Staircase-Escalante National Monument is a beautiful destination with amazing views. There is a handful of roads and routes around this National Monument and at least one suits every type of rider. If you’re a dual-sport or adventure motorcycle rider, there are even some stretches of road without any pavement so you can push it to the limits. Whatever bike you ride, this is a ride worth the trip, even if just for a few miles. Tunnel of Trees Road is a narrow, winding road, engulfed in trees that make this ride one for the books! Hugging Lake Michigan’s shoreline, M-119 begins in Cross Village and ventures about 20 miles south towards Harbor Springs. Noted as one of Michigan’s most spectacular drives. One of the best, most challenging motorcycle rides, especially in the state of Texas. Ride alongside rivers and traditional Texas-style ranches all while you tackle the 100+ mile loop of the Twisted Sisters that winds around canyons and climbs steep hills. And watch out for curves! In one 15-mile section, there are approximately 65 curves! Pro Tip: Don’t forget to top off the gas tank before heading out. 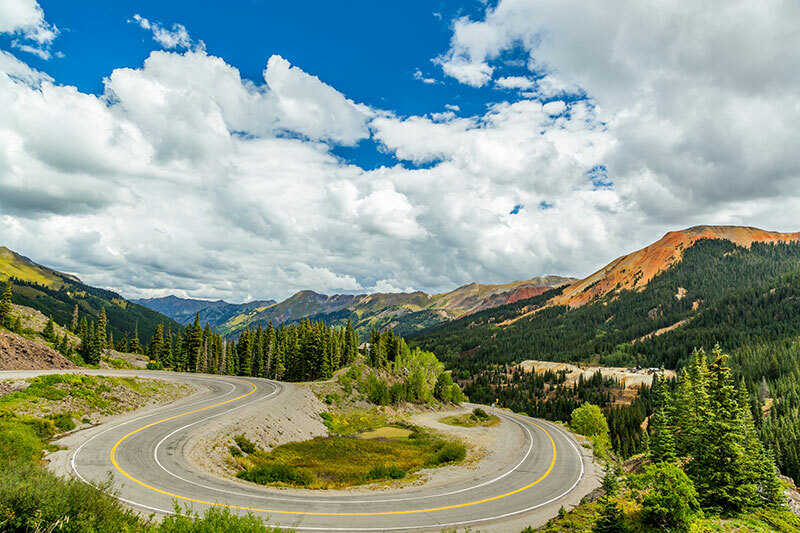 With some of the most scenic views of the Rocky Mountains, this 200+ mile road loops through Southwest Colorado from Ouray to Ridgway, Telluride, through Dolores, Cortez, and Durango, and back along Highway 550 for the classic Million Dollar Highway section between Silverton and Ouray. Find outdoor activities like fishing, hiking, and more, as well as attractions like museums along the way to make the ride that much more worth it. This is certainly worthy of the best motorcycle ride in Colorado. Pro Tip: At a place like this, the views don’t come without risk. Be careful of winding turns and falling rocks. 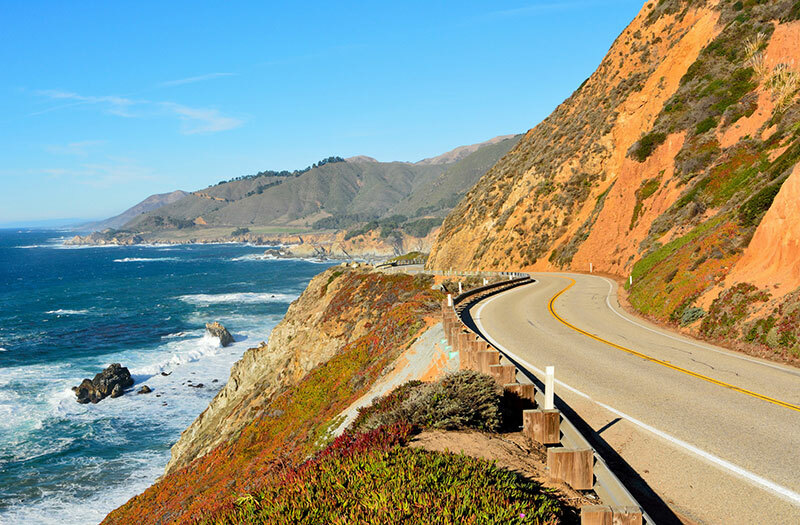 The Pacific Coast Highway (PCH, or California State Route 1) is a well-traveled road that hugs over 600 miles of California’s rugged and beautiful coastlines. Slow speed limits allow for a smooth and easy ride, and you can cut through or stop in at any of the small towns and bigger cities along the way and hit up some tourists hot spots. You don’t have to ride all 656 miles of the PCH, but the mountains, beaches, and trees are all breathtaking nonetheless. If you’re itching for some tropical riding, the Overseas Highway is the place for you. Spanning 100 miles from Key Largo to Key West, Overseas is a refurbished railroad turned main coastal highway. Visit the Florida Keys, which now host more than three million visitors a year, and see what this ride is all about! 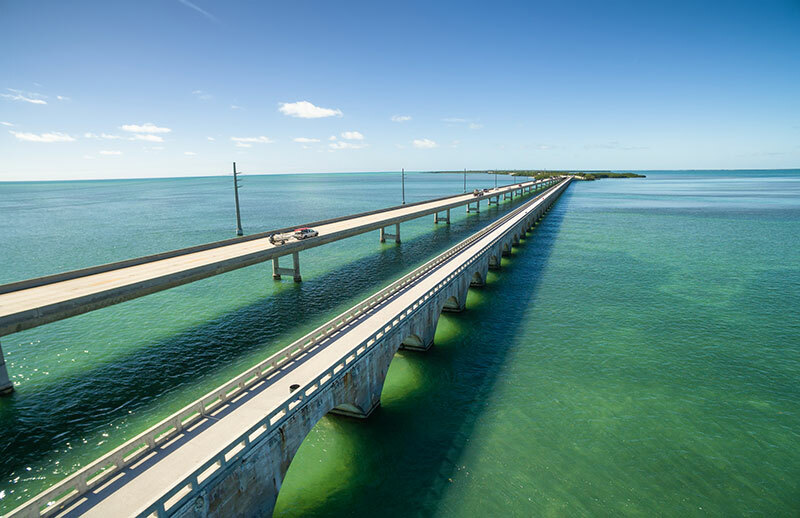 One of the best parts of the ride is the Seven Mile Bridge, which connects Knight’s Key in the Middle Keys to Little Duck Key in the Lower Keys. Although this bridge is currently closed for repairs, it is scheduled to reopen in 2021 and you don’t want to miss an opportunity to ride. There are so many amazing places to ride motorcycles in the U.S., so start planning your next trip! Once you experience these awesome motorcycle rides, you’ll wonder why you’ve been riding in your own city limits for so long. Looking for a new bike? See real pricing, get special offers, and search our nationwide inventory.